The above copper farthing measures 15.6 mm and weighs 0.95 grams. 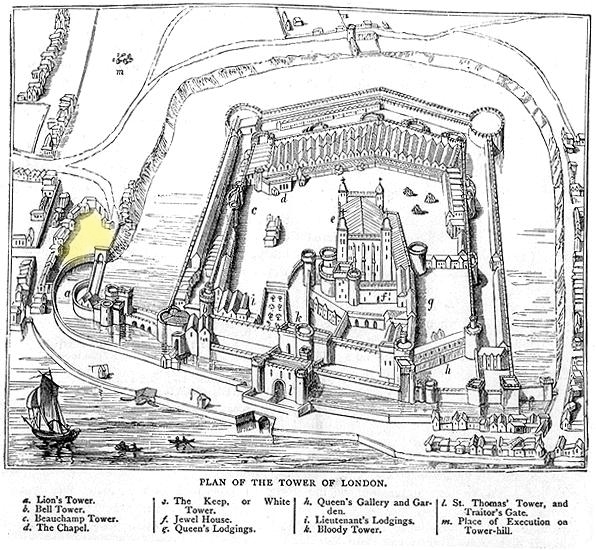 It was issued in the name of Thomas Stares of the Bulwark, Tower Hill in 1653. Obverse: (mullet) THOMAS STARES, around twisted wire inner circle, triad T |. S.| .E in two lines within. Reverse: (mullet) IN.THE.BVLLWORKE , around twisted wire inner circle, 1653 with (rosette) above and below. 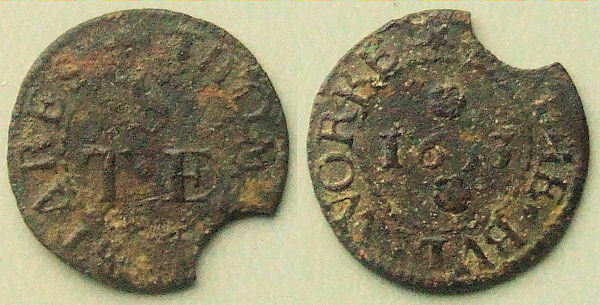 This token has a small radius semi-circular cut removed from its outer edge. This may be a cancellation mark, a deliberate defacement making the token worthless. It has been postulated that such cancellation marks (and others which are manifest as defacing piercings) were applied to the tokens in 1672 when they were made illegal by Royal proclamation , or at the death of the issuer or closure of their business. The Bulwark was the outer most enclosure on the approach to the Tower of London. Formerly this area was part of Stepney. Its construction began c.1480 and its demolition began in 1668 although the shops within and/or around it are reported to have been cleared by 1666. The outer side of the Bulwark was part of Tower Hill. It was entered by Bulwark Gate and exited via Lion Gate as part of the final approach to the Tower Gate of the Tower of London. Based on Thomas’s wife having the a fist name beginning with the letter “E” it can be assumed that the triad of initials on this token represent those of Thomas and Elizabeth Stares. There is no record of a Thomas Stares in the Hearth Tax return for London for 1660s. However, there is a Mrs. Stares (widow) recorded as paying tax on a single hearth in the Limehouse district of Stepney in 1666. This could well be Thomas’ widow.